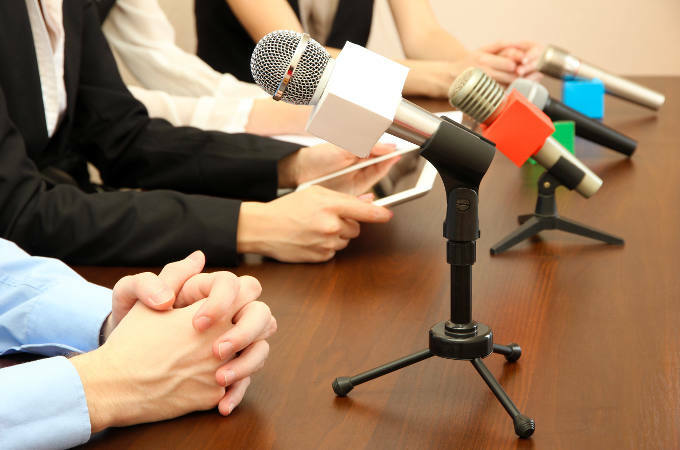 Whether you’re holding an important company conference, a product exhibition for clients or a live opinion debate for the wider public, having a capable moderator is essential to keeping a panel discussion on track. If you’ve been tasked with facilitating an important conversation, here are the top five things that will help it to run smoothly. Firstly, read around the conversation subject before the event, so that you understand the most relevant topic areas and the latest updates. This will keep the discussion on track and interesting. Secondly, look into your participants. You should memorise their names and be able to provide a short biographical statement about them without looking at your notes. Not only will this make your introductions more effective, but you will be able to host a more balanced discussion if you understand the perspectives of each speaker. Just like the topic and your panellists, it’s good practice to familiarise yourself with your audience demographics before the event. How interested and informed about the discussion topics will they be before coming to the event? Again, anticipating any existing knowledge or beliefs can help you to direct a more engaging conversation. While you’re moderating, don’t forget to read the audience, looking for facial expressions and body language that tell you the overall reactions to a question or statement. Use these cues to direct where your conversation should go next. It’s best to stick to neutral language when introducing each guest, avoiding words like “brilliant” or “controversial” so that your audience can form their own opinions about the discussion. Stick to the facts and don’t appear to take sides if you want to be a fair moderator. Don’t forget to engage and include the people watching and listening to the debate. You could take polls, ask questions or take comments from your audience during the debate, rather than making them wait for a tagged-on “Q&A” session at the end. Using an Audience Response System to do this provides several benefits. It’s less disruptive and more inclusive than conventional hand-raising, as answers or votes can be silently provided by all participants simultaneously. Results can be collected instantly, meaning that they can be incorporated seamlessly into the discussion, and the anonymity of answering by keypad means that you are likely to get a greater number of more honest answers than a more visual method. It doesn’t matter if your panel ended in a consensus or a complete disagreement; you should wrap it up with a summary of key points, packaged in a concise statement or question that your guests can take away to consider. You can read more about how to successfully plan a conference in one of our previous posts, or contact us today for more information about incorporating an Audience Response System into your events.